economy of Santa Fe first-hand! An in-depth survey of various types of arts organizations including foundations, public and private collections, arts commissions and non-profit organizations. The course will focus on the roles of government funding and private philanthropy in support of the arts as well as organizational structures, funding sources and other issues unique to various types of arts organizations. Students will gain a fundamental perspective of arts organizations useful for future career choices. Class includes field trips and classroom visits by arts professionals. Appropriate for students interested in arts administration in fine and commercial arts, crafts, and design. 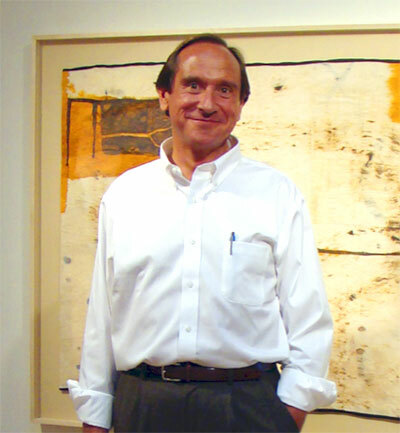 James Rutherford has been active in the arts for more than 30 years as a curator, gallery owner, and arts advocate. He is a former Director of the NM Governor’s Gallery, Assistant Director for Special Projects at the Tennessee State Museum, and Director and Co-owner of Copeland/Rutherford Gallery. He has served on the Boards of the Capitol Art Foundation and the Hispanic Cultural Center, and is currently employed by Chiaroscuro Contemporary in Santa Fe.